For decades, the Friday after Thanksgiving has been known as the beginning of the holiday season. With Christmas just around the corner, this can only mean one thing: shopping. There’s no better place than New York City to find amazing deals on Black Friday, but beware! Planning is essential to successful shopping on this day. Here are the Manhattan at Times Square tips to make the most out of your shopping spree. If you’re only visiting New York, chances are you can only carry clothes, accessories or small electronics. Decide what you want to buy before going to a store. This is particularly important if you want your trip to be as quick as possible – just head straight to the department that sells the item you are looking for. Now that you’ve made a list of what you are going to spend your paycheck on, here’s a list of stores that are famous for having some of the best discounts out there. 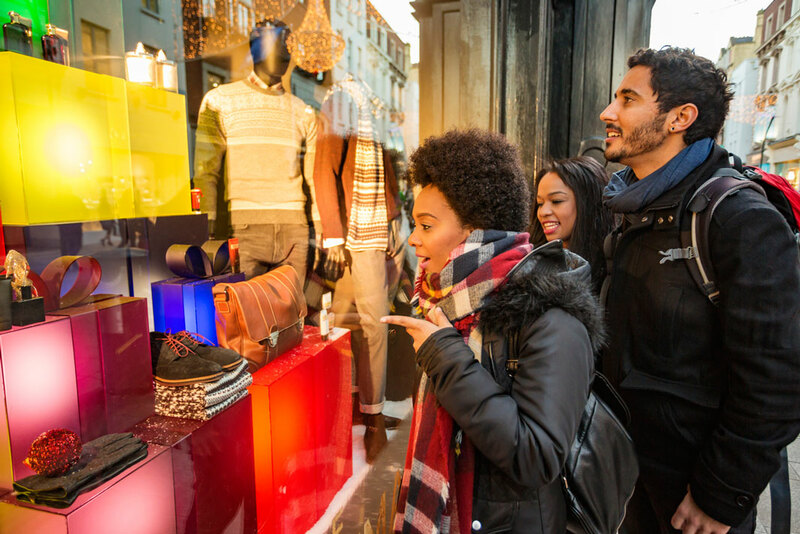 To find more information about shopping in New York City year-round, check out our post on Where To Shop In Manhattan Without Breaking The Bank. Nowadays, discounts start popping before Black Friday and usually last until Sunday. Try shopping before or after Black Friday. Popular areas like Times Square, Herald Square or SoHo will be packed. Luckily, many stores have different locations that are bound to be less crowded. Many retailers publish “sneak peeks” of their Black Friday deals. Consult their websites to get a good idea of what to expect. If you’re after deals without a trip to the store, look for online discounts in stores that ship worldwide! You’ll find the best prices on Cyber Monday - the Monday after Thanksgiving. Once you’re done with your shopping or if you’re tired of queues, take a walk around Central Park, catch a Broadway show or visit some of New York’s top sights.